Betsson reports record high revenues! Could it be even higher? Increase revenues by focusing on turning more registered players into active players! 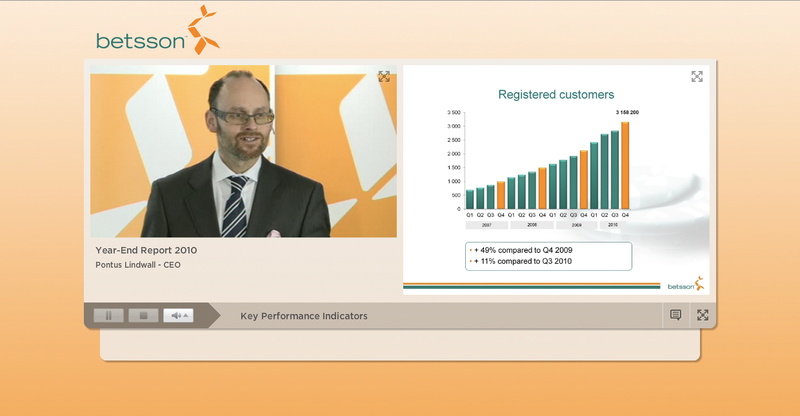 CEO Pontus Lindwall at Betsson today delivered the Year-End Report 2010 and the result was really strong. Casino and sportsbook are their strong products at the moment. Especially the live betting have increased almost 400%. It was really interesting to listen to the presentation and two things really got me thinking. Poker is not performing well at all. It was interesting to hear Pontus say that the products the focus on are performing well and poker not being one of them. The two slides below are showing the number of registered and active players over time. Looking at the slides you see that the number of active players is less than 10% of the registered players. Image 1. Number of active players. Image 2. Number of registered players. As you can see the number of active players in Q4 were 300 500 and the number of registered players were 3 158 200. Meaning that 9,5% of the total number of players at Betsson were active in Q4. Is this a low number? Or is it similar in the igaming industry? I did a quick survey and found out that it is pretty similar among the other operators as well. Unibet released their report yesterday and in the image above you see their numbers of active (308,872) and registered (>5,1 million) players. Only 6% of Unibet’s registered players were active in Q4 2010. And how do you find answers to these questions? By doing target group analysis and ask your players combined with analyzing all the data you have available. 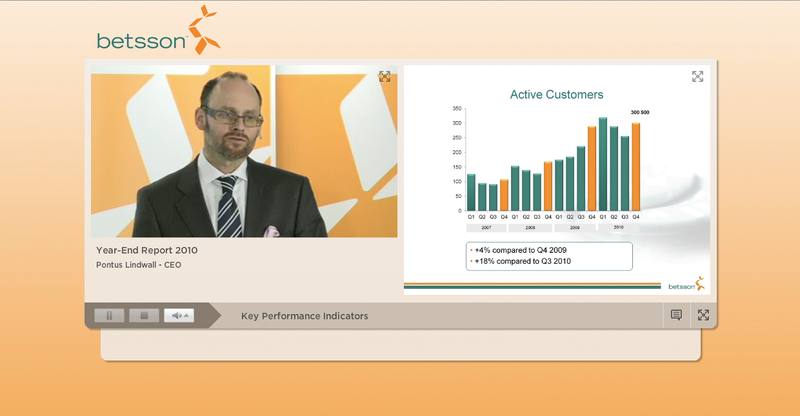 Betsson’s net income for Q4 2010 was SEK 125 million, an increase in the number of active players from 9,5 to 11% could then increase the net income by SEK 19 million (this would add up to SEK 76 million for a full year). 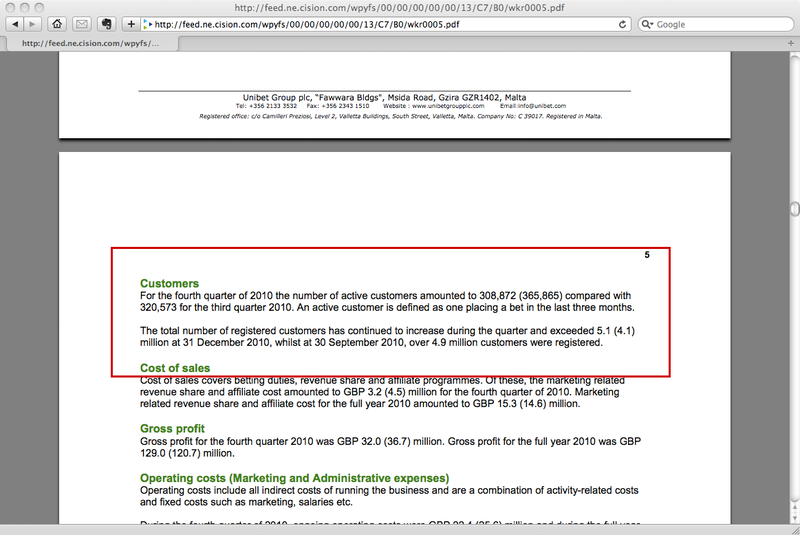 Unibet’s net income for Q4 2010 was GBP 10 million, an increase in the number of active players from 6% to 8% (it is a very low number and it should be even higher) could then increase the net income by GBP 3 million (this would add up to GBP 12 million for a full year). Ps. I understand that my calculations aren’t totally accurate but at least it shows the great importance of increasing the number of active players Ds.